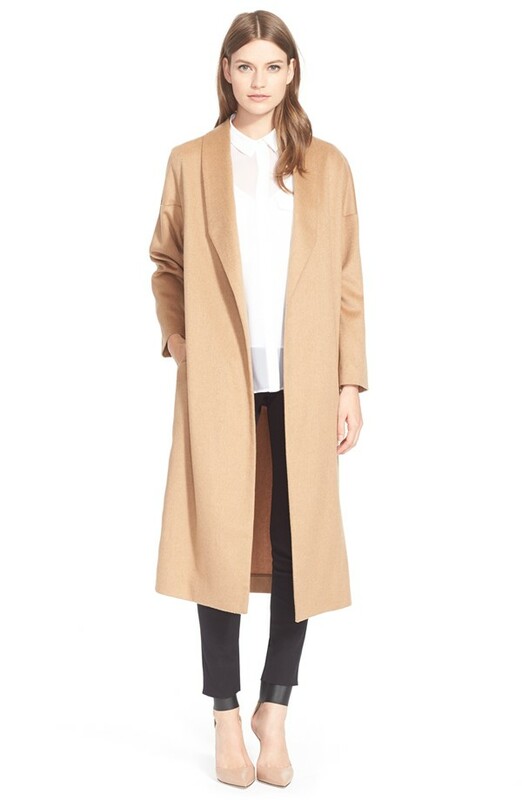 Her classic camel hair coat boasts an open front, shawl collar, and side-seam pockets. Her soft silk blend jumpsuit features a drop tapered crotch, zipper detailing at the calves, hip and rear pockets, and belt loops. I love her off-duty style! I definitely need this jumpsuit in my life. If you’re up for the splurge, get Kendall’s coat here and jumpsuit here. On The Scene: The Mercedes-Benz and African-American Film Association Oscar Viewing Party with Kenya Moore in DSL Designs, Tracee Ellis Ross in Thai Nguyen Atelier, Jamie Foxx in Jack Manson, and More!